I described a method by which you could calibrate a digital hygrometer in a recent post. It was a method you could do at home with some minimal equipment (a thermometer which would allow you to wrap some damp cotton around the sensor). But there is another way to calibrate a hygrometer. It’s more difficult to find the necessary components – which is why it wasn’t the method I described previously. But it is based on some interesting properties and in theory would allow you to control the humidity in an airtight space. In fact, you can purchase a guitar humidifier which is (I presume) based on this principal. A saturated salt solution in a closed container will produce a known humidity at a given temperature. There are tables of different salt solutions and the relative humidity (%RH) they produce at different temperatures. Many of the salt solutions produce nearly constant humidity over a relatively wide range of temperatures. I used this principal when I was a scientist in order to test the stability of diagnostic devices at elevated humidity. Pharmaceutical companies use this to test the stability of drugs to high humidity. Museums often use this principal to control the humidity in exhibits (sealed glass cases). You can find tables of different salt solutions and the humidity they produce at different temperatures in The Merck Index and in the CRC Handbook of Chemistry and Physics. You won’t have these on your bookshelf but your public library might have them in their reference section. Or you can find an online table here. What is a saturated salt solution? It is a solution of the salt named in the table where there is so much salt present that it some of the salt remains undissolved. You should see crystals or undissolved salt at the bottom of the solution. If you want to use this principal to calibrate a hygrometer you will need an airtight container large enough to hold the hygrometer. The container needs to be clear so you can read the humidity while the instrument is sealed inside. You also need to be able to have the saturated salt solution in the container without having your hygrometer in the solution 1 I think you can see why I didn’t recommend this method. The trick is to find useful salt solutions for calibrating the hygrometer. If you look at this table we can find the following solutions and the humidity and temperature produced. Sodium chloride – table salt – will produce 75% RH at 77 degrees F (25 degrees C). That’s too high. We’re interested in low humidity that can damage guitars or normal humidity. Potassium Carbonate seems perfect. It produces 43% RH at 77 degrees. This is in the optimal humidity range for guitars and people. The problem is it may be difficult to find Potassium Carbonate unless you have access to a chemical supply company. It won’t be at your grocery store. Magnesium Chloride is sometimes used to melt ice on sidewalks in the winter so you might be able to find this. 2 It produces about 33% RH at 77 degrees. But the interesting salt is the Potassium Carbonate. If you could put a saturated solution of that in with your guitars, say in a airtight guitar cabinet, your guitars would be exposed to a constant humidity of 43% – just what they need. A standard guitar case humidifier might not provide enough humidity – or it might over humidify. So something that automatically regulates the humidity to the desired %RH would be a good thing. Good news. Planet Waves make a guitar case humidifier that uses this principal. It is easier than finding the components to make it yourself. I’ve discovered that Potassium Carbonate is used in Soap, Beer and Wine making. You can purchase it anywhere that sells supplies for these home brews. You can purchase it from Amazon.com here: 1 Lb Potassium Carbonate Soap Making Beer Wine Making . However, if you are going to attempt to use this to control humidity for your guitars, only do so in a guitar cabinet or perhaps an airtight closet. If you want to control humidity in your guitar case, buy the Planet Waves humidifier instead. You don’t want to spill this solution on your guitars. Hint: One way to create a sealed container where you can see the hygrometer display without soaking the hygrometer is to put the hygrometer in a large Ziploc bag with a jar containing the salt solution. However, if the Magnesium Chloride is contaminated with a lot of other compounds or a mixture of salts then it probably won’t produce the desired humidity. Hi, thank you for your article. Here is way to prevent spillage in a guitar case: add gelatime, xanthum gum, or any other protein that will cause the water to gel with the salt. Now, one can get a desired humidity and not worry about spillage. This might make an useful addition to your article. If there are any biological scientists out there familiar with BioRads Bio Gel beads or Sephadex products (formerly from Pharmacia), these would also adsorb water and hold it in a matrix. Most guitar players don’t know anything about these products and/or have no interest in inventing an effective humidification method. There are companies applying these ideas to commercial products for guitar humidification. One of them uses micro beads. I’m sure there’s at least one using something similar to your idea. They’re good ideas. As a retired scientist I can’t help but think about how I could improve on humidification. But for ease of use, I actually recommend buying one of the commercial products. 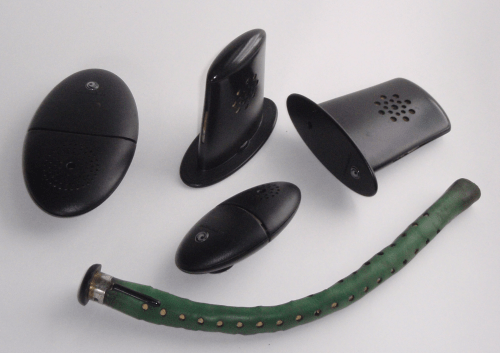 See Guitar Case Humidification Systems. I’ve been researching how to solve your problem. There is nothing within the admin area of my site that would allow me to unsubscribe on your behalf. The emails should contain a link or instructions on how to unsubscribe. Take a look at one of your unwanted emails and see if there is an unsubscribe link or button. I apologize for your inconvenience. I always hate when I get multiple copies of the same email or sign up for something and then change my mind but now find it difficult to unsubscribe. I’ll continue to research options on my side but it is looking like other than changing the service that handles subscriptions on my site, there is not much I can do. I’m very sorry.